Sony Reader - is it the new book? 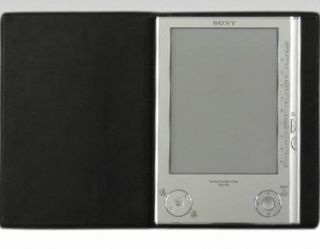 Sony has announced the launch of its new slimline Reader, which is out to banish books and bookshelves forever. The Reader is smaller than a paperback and can hold up to 160 ebooks. If that's not enough for you, then you can add thousands more on an optional memory stick or SD memory stick. The Reader weighs in at a light 260g and has enough juice in it to do 6,800 page 'turns'. The new Reader utilises E Ink tech, meaning that the display mimics a traditional book – so you can read it in sunlight at strange angles without a problem. Unfortunately, the device doesn't come with that new book smell but it does come with a free CD of classic titles including The Jungle Book, Pride & Prejudice, Alice's Adventures In Wonderland and Great Expectations. Plus more ebooks can be downloaded from Waterstones.com/eBooks. And if you're fed up of reading books, you can also use the Reader as storage, as it's compatible with the following formats: ePub, PDF, RTF, TXT and MS Word as well as JPEG images. The Reader is available for pre-order as of 24 July at waterstones.com and sonystyle.co.uk.